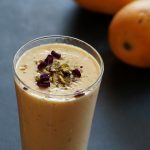 Gulkand Mango Lassi Recipe – An Indian drink made with mangoes, gulkand, yogurt and cardamom. Lassi is a thick, creamy and delicious Indian drink made with yogurt and fruits such as mangoes, bananas, papaya or strawberries. 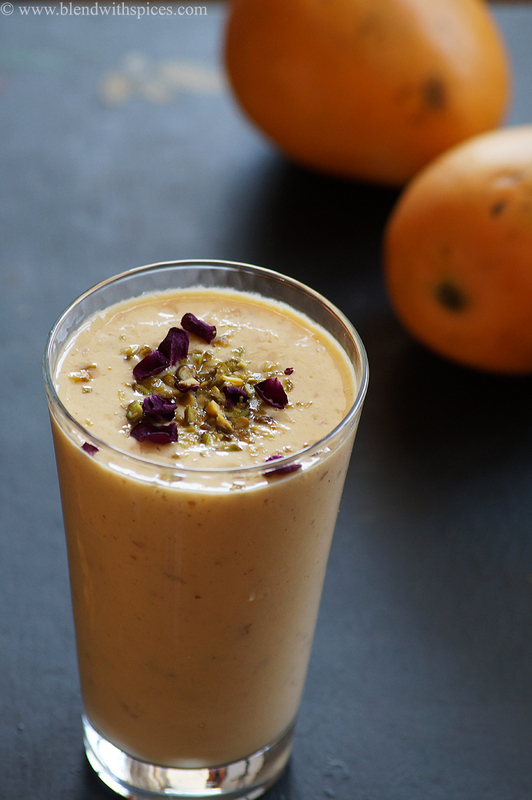 Today’s recipe is a different type of Mango lassi with Gulkand or Rose Petal Preserve. How to make Mango Gulkand Lassi Recipe with step by step photos and video. 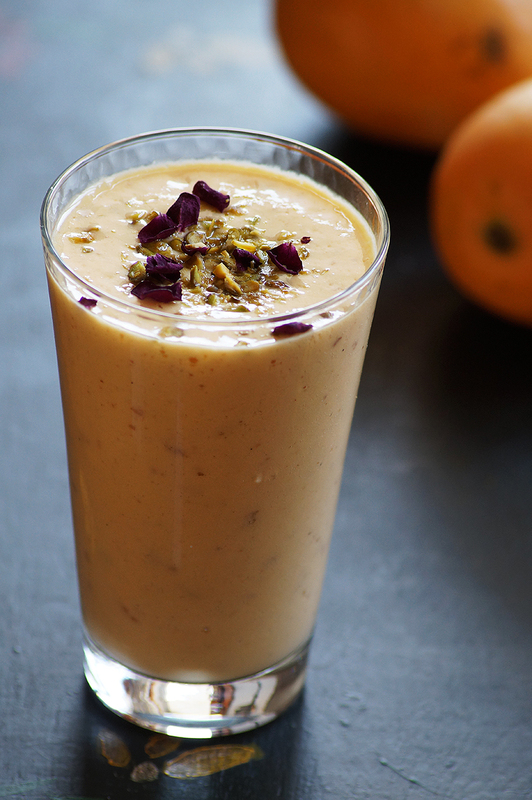 An Indian beverage made with mango, rose petal preserve, yogurt and cardamom. 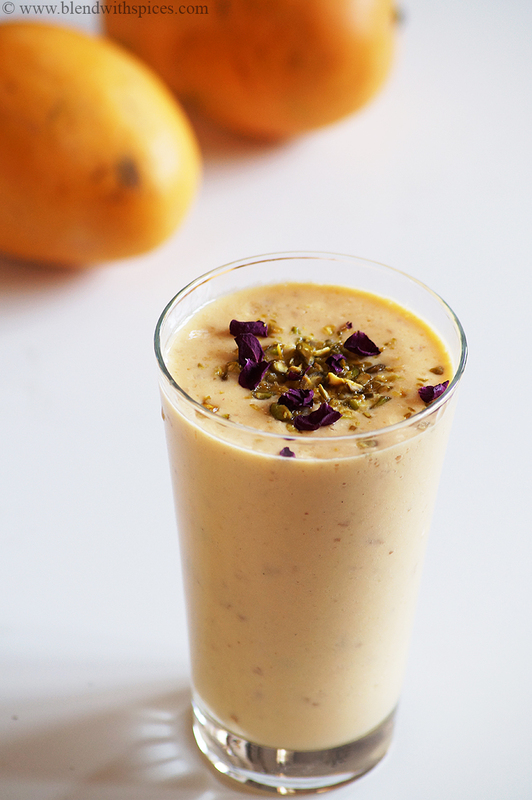 Combine the mango, yogurt, gulkand, cardamom powder, milk and ice cubes in a blender. 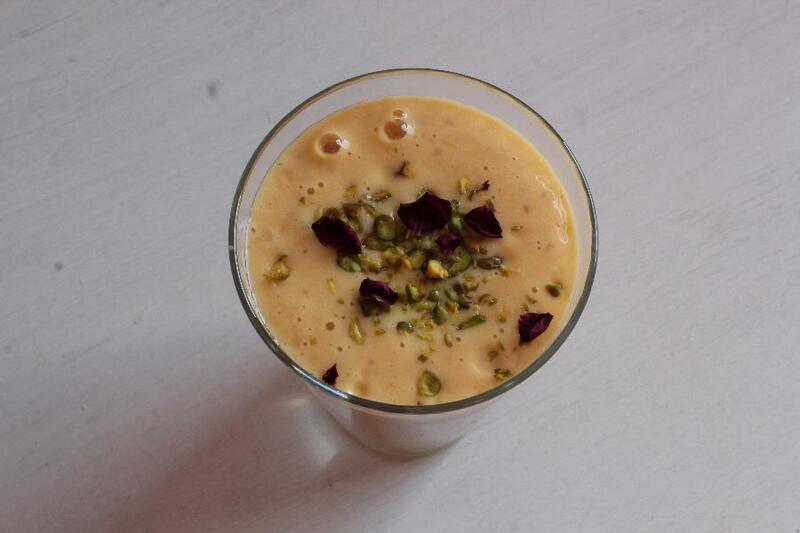 Pour the lassi into a glass and garnish with chopped pistachios and dried rose petals. You can also use canned mango pulp instead of fresh mangoes. Adjust the consistency by adding more milk or water. You can also refrigerate the lassi and serve later. Wash, peel and chop the mango into pieces and measure them. Combine the chopped mango, plain yogurt, milk, homemade or store-bought gulkand, cardamom powder and ice cubes in a mixie jar or blender and blend until creamy. 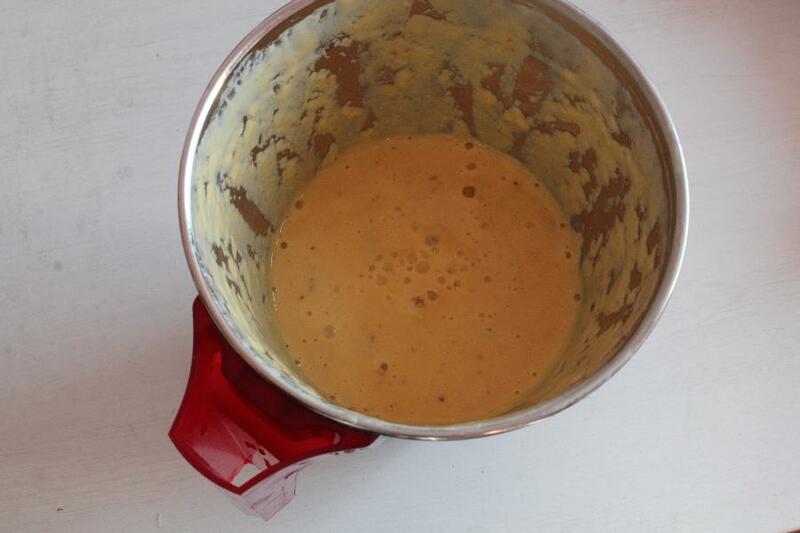 Add more milk or water and blend again if needed. 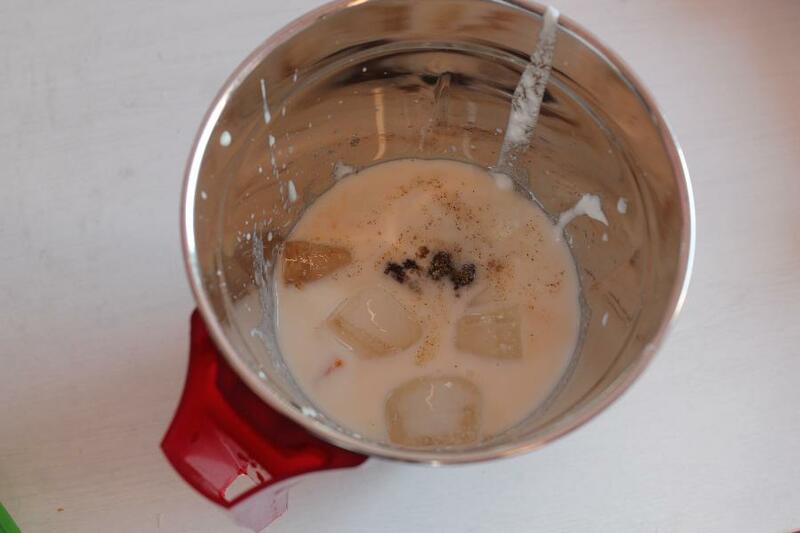 Pour the lassi into glasses and garnish with nuts and rose petals and serve immediately.